CancerCare has launched it’s Christmas Appeal and is asking everyone to support people affected by cancer in South Cumbria and North Lancashire. Delivered by qualified and highly experienced staff, CancerCare's wide range of free professional therapy services are designed to help people come to terms with and manage the challenges of a serious health condition. Therapies include counselling, hypnotherapy, the Alexander Technique, aromatherapy massage, group activities, support groups and a Children and Young People's Service. The charity, which has centres in Kendal, Barrow and Lancaster, is aiming to raise funds so that local people facing cancer can have free support when they need it most. 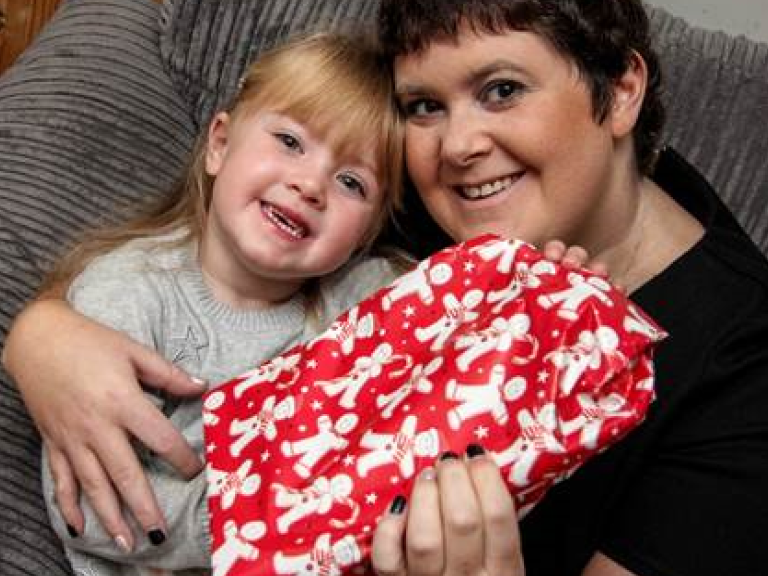 Stacy Woodhouse and her daughter Harper-Mae were helped by the charity after Stacy was diagnosed with a rare type of cancer. Stacy is in a good place now but last Christmas there were times when she desperately needed CancerCare’s professional support to cope with her illness. She was thankful that there was a CancerCare centre near her home on Walney Island so she didn’t have to be apart from Harper-Mae for long. Stacy added: “I was having to spend a lot of time far away from home having treatment and being away from my little girl which was really, really hard. By making a donation to CancerCare this Christmas you will be helping families like Stacy’s to cope with cancer and get back to having the best possible life. All donations raised from the charity’s Christmas Appeal will fund CancerCare’s free services which include counselling for children and adults and one-to-one therapies to help ease pain and the side effects of cancer treatment as well as support groups and drop in sessions in the local community. Neil Townsend, Chief Executive of CancerCare, said: “Every year CancerCare provides support to hundreds of local families like Stacy’s whose lives have been turned upside down by cancer or other serious health conditions. “However, this is only possible with donations from the local community. We really don’t want to have to turn anyone away, especially at this time of year, which is difficult for so many. For more information about CancerCare's free services please go to www.cancercare.org.uk or email: tct@cancercare.org.uk or call 01524 381 820 and ask to speak to the Therapy Team.